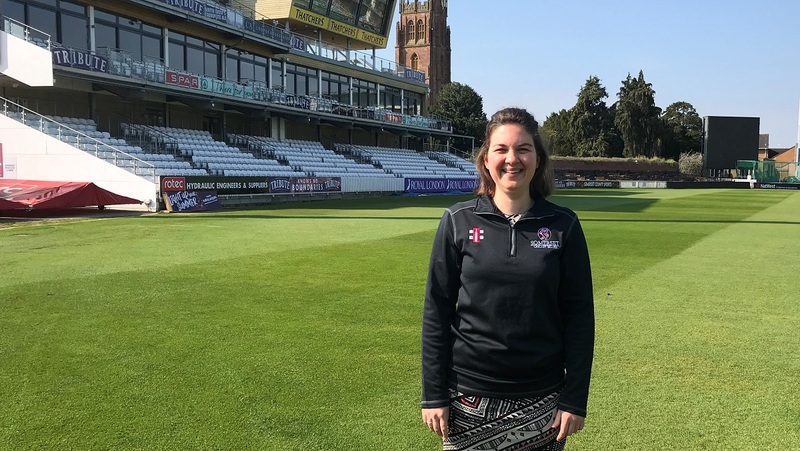 If you’ve contacted the Somerset Cricket Board (SCB) office in recent months regarding boys or girls representative cricket, the chances are that you will have spoken with Laura Lewis. After five months as the new Cricket Administrator for SCB, Laura is feeling very much at home and starting to get to grips with the demands of her role. “I’m really enjoying working for the Somerset Cricket Board,” she said. “I haven’t cried yet and I keep on coming back everyday, so it must be alright! Laura talked about some of the aspects of her job. “It’s great to see how much the game is encouraged in all age groups and abilities. Having the opportunity to be a part of the team is very enjoyable for me. “I’m really looking forward to interacting with people right the way through from the Under 10s to seeing them going all the way in years to come and making something of themselves. It may not even be in cricket, but if the game has helped them to make something of themselves then that will be a wonderful thing. Laura used to work for Gloucestershire in their Ticketing and Membership department. “At that time I didn’t have any involvement with the developmental side of things so it’s great to come to Somerset and see how the cogs of the machine work to get players to that stage. “I work primarily with the Performance team but we’re a small office, so being one of the members of staff who is based at the Centre of Excellence all the time means that I’m integrating with all departments and seeing how things work. “That’s been the real joy of the job and I’m getting the opportunity to get a full understanding of what it is that the Somerset Cricket Board does. “Ever since I left Gloucestershire three years ago I haven’t managed to find the right job, which has been really frustrating. Then a relative of mine pointed this job out to me. I applied and was appointed. Laura has a degree in Music and is Vocal Coach of Merriman Theatre Group, based in Midsomer Norton. It’s no surprise to find out that, in addition to her day job for SCB, Laura also works during the evenings for both the Theatre Royal in Bath and Strode Theatre in Street. “I like working in recreational activities that make people really happy, like the theatre, music and, of course, cricket. Laura also enjoys being fully integrated with the whole Club at Somerset. 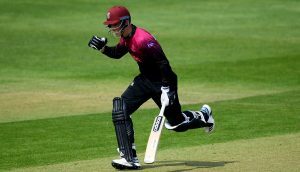 “Where our office is based in the Centre of Excellence, not only do we get all the other staff from the SCB coming in at some stage or other but we also get the Somerset players coming in and the members of staff from the County Club. “There is definitely a strong feeling that everybody at Somerset is singing off the same hymn sheet and working together, from the catering to the players to the County Club to us. 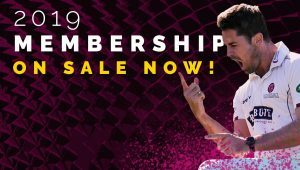 “It really feels like everybody gets on here at Somerset, whichever department or aspect of the Club they are involved in, which is such a good thing.